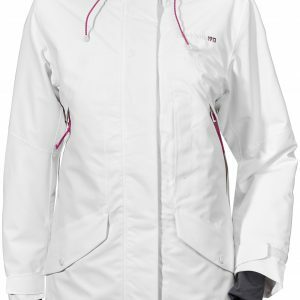 Didriksons Voyage woman’s coat. 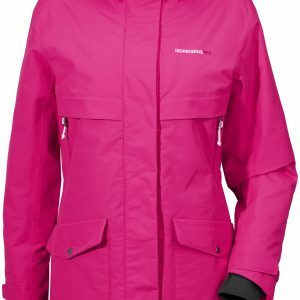 A long lined coat for women in classic fit, with detachable hood and two large front pockets. The pockets are hidden and have buttons in imitation wood up front. 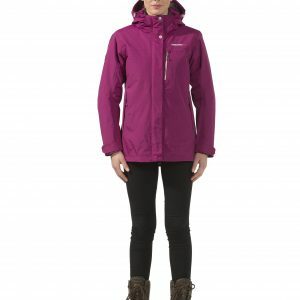 The jacket is made of nylon weave, and to enhance the fit there is a detachable belt to tie around the waist. The hem, cuffs and hood edge are enhanced with corduroy trim to give a soft and decorative feeling.The material is water- and wind proof as well as breathable. PFC-free WR finish.